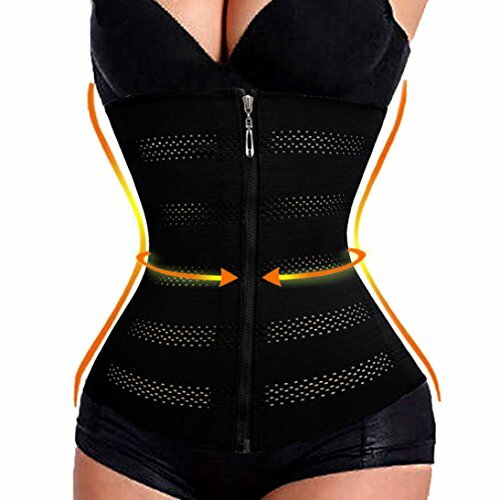 1.Your curves never had it so good.Waist shaper helps give you the hourglass figure you want by smoothing your waist and tummy area for a sleeker,curvier silhouette. 2.Firm control helps minimize problem areas. With our firm control, you get ideal shaping to help minimize your trouble areas. But unlike most firm shapewear that tends to bind and be uncomfortable when worn for an extended period of time, Waist shaper is made with a soft, microfiber fabric that adjusts to your body for a fit that comfortably helps smooth your tummy and waist. 3.Find your perfect size. When figuring out the size of shapewear that is right for you, use your dress size as your guide. It’s important to remember￡?that going down a size will actually cause more bulging and discomfort and the waist and leg bands of the shapewear will cutinto your skin. If you are currently between sizes remember to never size down. Also, when you are putting on shapewear always step into it, even with a camisole. This easy to remember step will prevent shapewear from getting tangled up around your arms and head. 4.Many ways to wear Waist Nipper works great with form-fitting tops, skirts or dresses. It’s perfect if you want to show off your hourglass figure under wedding gowns, cocktail dresses or casual outfits. Have the perfect outfit to wear but you need to smooth out your tummy pooch? No problem. Just slip on our waist nipper for a smoother, sleeker, and sexier you! 3 back Support let you feel COMFORTABLE when wearing it. 4 High quality fabric breathable and comfortable enough to be worn all day long, sweat-free comfort, antibacterial, moisture wicking.